Kathleen Losada has joined Tower MSA Partners as vice president of strategic services. In this role, she identifies and develops new markets and service offerings for the company, which provides Medicare Secondary Payer compliance services and Medicare Set-Asides. Losada has been involved in the development and implementation of MSP compliance services for the past decade. Most recently she served as vice president of business development for NuQuest/Bridge Pointe. Her 25-year career includes a leadership role with MTI America, which offers transportation, translation, home health, and diagnostic imaging services to workers’ compensation payers. 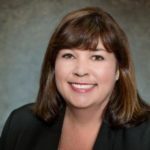 She previously managed sales in the Southeast U.S. for GENEX Services, a disability management and medical cost containment company active in workers’ compensation, auto, and group health markets. She started her career as a claims adjuster for an insurance carrier. On May 7, 2018 the Delaware Department of Insurance (DOI) welcomed its new Deputy Commissioner, Tanisha L. Merced, Esquire. 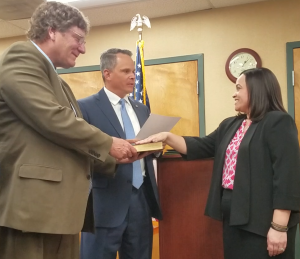 Deputy Commissioner Merced was sworn in by Insurance Commissioner Trinidad Navarro in front of the DOI’s Dover office. Merced is a member of the Bar of the State of Delaware. She has dedicated her professional career to public service and has consistently demonstrated leadership in her profession. Prior to joining the Department of Insurance, Merced served as a deputy attorney general at the Delaware Department of Justice and as first assistant county attorney for New Castle County. She also serves on the Nominating Committee for the Delaware State Bar Association, is a past Commissioner of former-Governor Jack Markell’s Hispanic Commission, and served as a past Chair of the Multi-Cultural Judges and Lawyers Section of the Delaware State Bar Association. Her experience as an attorney has focused on litigation, the provision of legal advice to government agencies and departments, and the leadership, supervision, and management of attorneys. Aon plc, a global professional services firm providing a broad range of risk, retirement and health solutions, announced the appointment of Richard Schuyler as chief executive officer of Aon Carrier Link, a channel that uses data and analytics to give buyers greater choice and efficiency of placing the largest and most complex risks.